Established in 1983, Woodlands School of Motoring has over 25 yrs years of experience in the aylesbury surrounding areas, and provides driving lessons to clients throughout the local area. The company is situated in North Marston (Buckingham). 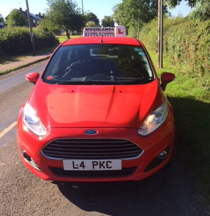 The business offers a variety of driving lessons to local people, which are designed to suit any budget for everyone. With fully qualified and friendly male instructors allowing clients to relax. Since being established, the business has grown from strength to strength, ensuring a prompt and professional service, hence, we have developed an outstanding reputation within the local community, helping keep the roads a safer place.